James Beard’s American Cookery, First Edition, First Printing, 1972: Difficult-to-find copy of one of James Beard’s most important works. Published in 1972 by Little, Brown & Company, New York. 877 pages. Has shelf wear especially on the base of the cover and the top of the spine cover. 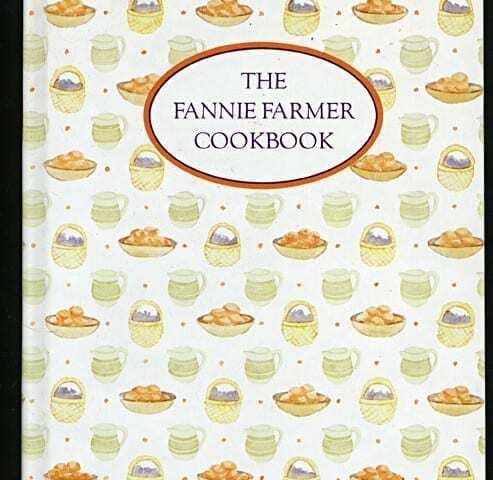 But, this was one of those cookbooks that was just scooted around a bookcase, because the inside of the book is in pristine condition. Pages are all completely clean and clear. Binding and hinges are perfect. James Beard set out to put American cuisine into its historical context, and he is successful at it, using many of the primary sources we feature and that we have featured. 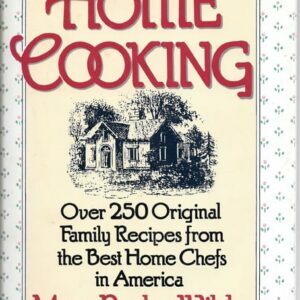 Among the cookbooks he quotes directly are Edith Barber’s Cook Book, 1940; The Alice Bradley Menu-Cook-Book, 1937; Helen Brown, West Coast Cook Book, 1956; Buckeye Cookery and Practical Housekeeping, 1877; Carson, Rachel L., Fish and Shellfish of the South Atlantic and Gulf Coasts, 1944; Charleston Receipts, 1950; Mary Cornelius, Young Housekeeper’s Friend, 1846; Council of Jewish Women, Neighborhood Cook Book, 1914; Popular Lithuanian Recipes, 1967; Marion Harland, 1881; Janet Hill, Salads, Sandwiches, and Chafing Dish Dainties, 1903; Miss Leslie’s New Cookery Book, 1857; Mrs. Lincoln’s Boston Cook Book, 1896; The Country Kitchen, 1936; Marjorie Mosser, Good Maine Food, 1939; Marian Harris Neil, A Calendar of Dinners, 1920; Miss Parloa’s New Cook Book and Marketing Guide, 1880; Picayune’s Creole Cook Book, 1910; June Platt’s Plain and Fancy Cook Book, 1941; Marjorie Kinnan Rawlings, Cross Creek Cookery, 1942; Irma Rombauer, Joy of Cooking, 1943; Mrs. Rorer’s Philadelphia Cook Book, 1886; Bohemian-American Cook Book, 1949; Serbian Cookery, 1955; Somerset Club Cook Book, 1963; Sunset Adventures in Food, 1964; and more.